WHO ARE WE? WE ARE MARKETERS. OUR GOAL: TO ENGAGE/ENTERTAIN/INFORM PEOPLE WHO READ, LISTEN OR VIEW OUR CONTENT. (ULTIMATE GOAL: MAKE MONEY FOR OURSELVES OR THE BUSINESS) TO ACHIEVE OUR GOAL JUST MAKING THE PERSON TO READ OR WRITING GOOD STORIES OR ARTICLE IS NOT SUFFICIENT, WE NEED TO GET PEOPLE TO TAKE ACTIONS ON OUR PAGE/CONTENT. THE MOST COMMON MISTAKE The most common mistake that content marketers make is in understanding the definition of the task itself. 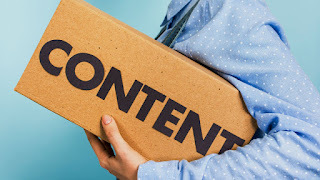 Content marketing by virtue is not the task to create and share valuable content at its core. To create and share content is by virtue a task in the whole paradigm of the content marketing diaspora. It is but a tool to reach the end i.e. to make money. Email Marketing has been in existence for a very long time now and is the pioneer form of digital marketing while content marketing is the new kid in the block when it comes to content marketing. While separated by times these two can work tremendously well together to drive your overall online marketing strategy. Step -1 : Utilize your social media posts to create E-newsletters A simple step is to utilize content boards to convert social media posts into E-newsletter, the content board can pull content directly from your Facebook feed at predetermined intervals. This can then be automatically shared at scheduled times via e-newsletters.